Bulk URL and keywords can be easily imported into SerpBook. We recommend ticking off the "Exact" checkbox if you are tracking an inner page, such as a YouTube video. 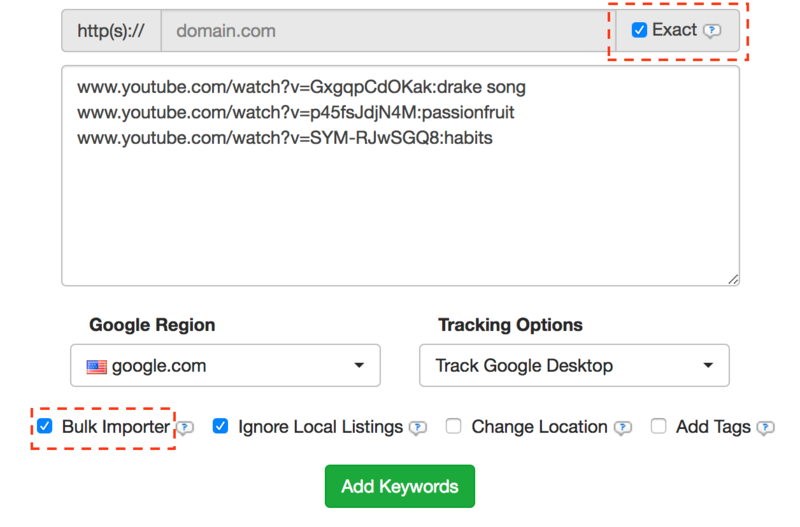 You can then go ahead and add the keyword in the URL:keyword format. The HTTP(s) prefix should be omitted.